As previously unimaginable communication technologies rapidly become commonplace, survey researchers are presented with both opportunities and obstacles when collecting and interpreting data based on human response. Envisioning the Survey Interview of the Future explores the increasing influence of emerging technologies on the data collection process and, in particular, self-report data collection in interviews, providing the key principles for using these new modes of communication. With contributions written by leading researchers in the fields of survey methodology and communication technology, this compilation integrates the use of modern technological developments with established social science theory. 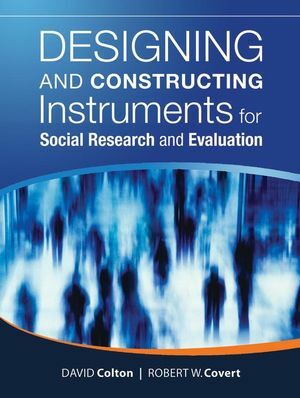 The book familiarizes readers with these new modes of communication by discussing the challenges to accuracy, legitimacy, and confidentiality that researchers must anticipate while collecting data, and it also provides tools for adopting new technologies in order to obtain high-quality results with minimal error or bias. How can systems adapt to respondents' thinking and feeling? 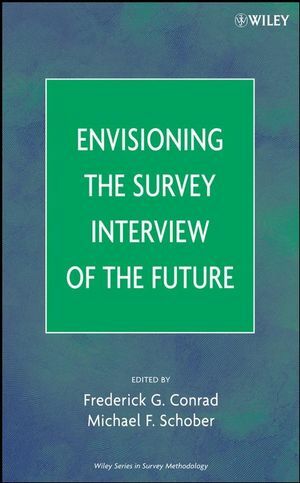 With its multidisciplinary approach, extensive discussion of existing and future technologies, and practical guidelines for adopting new technology, Envisioning the Survey Interview of the Future is an essential resource for survey methodologists, questionnaire designers, and communication technologists in any field that conducts survey research. It also serves as an excellent supplement for courses in research methods at the upper-undergraduate or graduate level. Frederick G. Conrad, PhD, is Research Associate Professor at the Institute for Social Research located at the University of Michigan and at the Joint Program in Survey Methodology at the University of Maryland. Michael F. Schober, PhD, is Dean and Professor of Psychology at the New School for Social Research in New York City. 5. Video-Mediated Interactions and Surveys (Anne H Anderson). 8. Is it Self-Administration if the Computer Gives You Encouraging Looks (Justine Cassell and Peter Miller). 10. Toward Socially Intelligent Interviewing Systems (Natalie K. Person, Sidney D'Mello, and Andrew Olney). 11. Culture, Computer-Mediated Communication, and Survey Interviewing (Susan R. Fussell, Qiping Zhang, Fred Conrad, Michael Schober, and Leslie D. Setlock). 12. Protecting Subject Data Privacy in Internet-Based HIV/STI Prevention Survey Research (Joseph A. Konstan, B. R. Simon Rosser, Keith J. Horvath, Laura Gurak, and Weston Edwards).